Rosemary Santolina (santolina rosmarinifolia) - Fragrant santolina with green leaves becoming more gray with age. 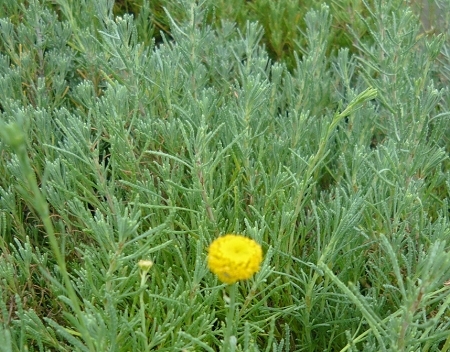 Slender leaves and an upright growth habit similar to rosemary. Yellow button like flowers when in bloom. Traditionally used in English knot gardens, it can be trimmed to a hedge. Fragrant leaves are known to repel insects and moths. Likes a well drained soil, sun and dry conditions. Carefree easy plant. Perennial zones 6 - 10. Live plant in 3" container. Arrived in wonderful condition. Could not be more pleased. Thank you!